A sheep in South Australia has raised a few eyebrows for having only one fully-grown horn, giving him the appearance of a unicorn. 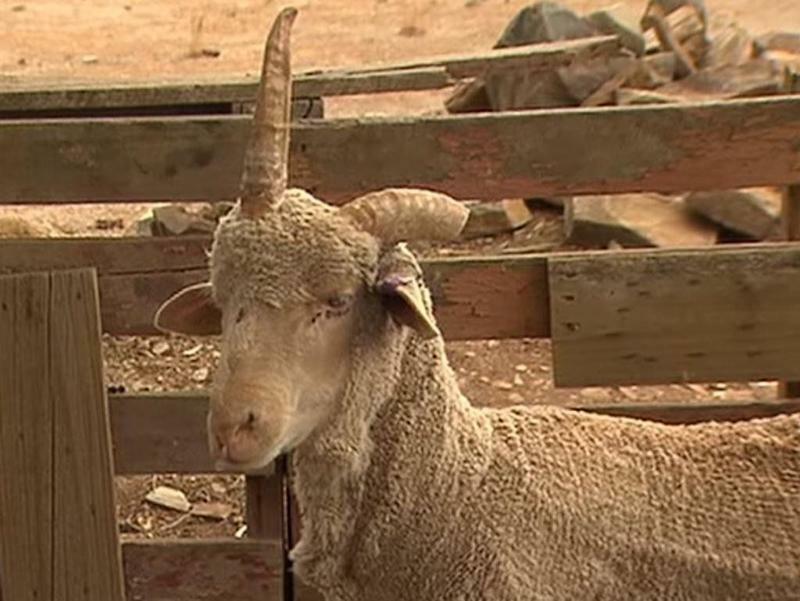 Joey, who’s also being called a “unicorn sheep”, was rescued by Michael Foster and brought to his property in Burra in the state’s mid-north, 7News reports. Mr Foster said his one-horned mate was going to be cooked so he offered the owners two cartons of beer to save him. The sheep’s appearance is due to one of his horns not fully developing. “I thought it might have been a joke to start with, but I thought, ‘yeah it looks like a unicorn’,” Mr Foster told the news station. Mr Foster believes Joey might be the only one-horned sheep in Australia. “We’ll break him in, take him to shows and pageants, and who knows where we can go, maybe Hollywood,” he told 7News.